Margaret Paul, Ph.D., is the co-creator of Inner Bonding, a transformational six-step spiritual healing process. She is a best-selling author, noted public speaker, workshop leader, chaplain, educator, humanitarian, consultant, and Inner Bonding facilitator. She has been leading groups, teaching classes and workshops, and working with individuals, couples, partnerships and businesses since 1973. Margaret is passionate about evolving and teaching the process of Inner Bonding. Margaret is the co-author of Do I Have To Give Up Me To Be Loved By You? 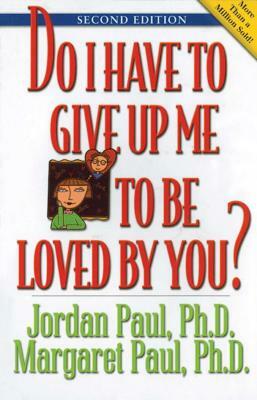 (over 400,000 copies sold), Free to Love, Do I Have To Give Up Me To Be Loved By My Kids?, Do I Have To Give Up Me To Be Loved By You? -- The Workbook, Healing Your Aloneness, The Healing Your Aloneness Workbook, and author of Inner Bonding and recently released, Do I Have To Give Up Me To Be Loved By God? Her books have been translated into ten languages: German, Italian, Danish, French, Spanish, Portuguese, Chinese, Japanese, Dutch and Hungarian. Healing Your Aloneness and The Healing Your Aloneness Workbook are best sellers in Germany. Margaret has three grown children. In her spare time she is an artist.